Be a champion! Join the Associated Recreation Council (ARC) and The Seattle Foundation in supporting our community on Tuesday, May 5. GiveBIG is a one-day, online charitable giving event to inspire people to give generously to nonprofit organizations that make our region a healthier and more vital place to live. By making a gift to ARC through The Seattle Foundation’s website on Tuesday, May 5, you will help deliver the high-quality programs and services that truly make a difference in the lives of Seattle residents. The Seattle Foundation will leverage your gift even further by providing ARC with additional matching funds. 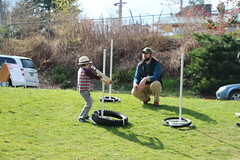 ARC, in partnership with Seattle Parks and Recreation, serves Seattle by offering a variety of recreational and lifelong learning programs, classes and activities. ARC, incorporated in 1975 as an independent nonprofit organization, supports this work through the ARC Board of Director and a system of 37 advisory councils. 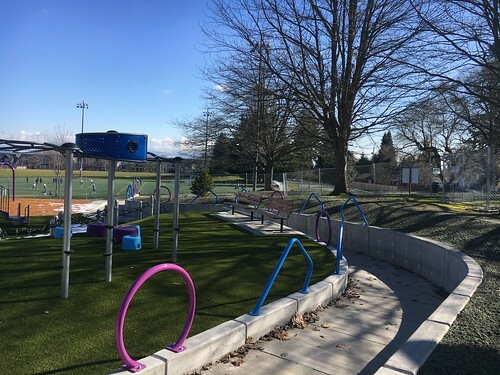 Citizen volunteers on the board and advisory councils help to enhance the mission and vision of Seattle Parks by providing a connection to the community and advocating for the success of citywide recreation services. Just click on the link below, go to “Donate Now” and GiveBIG Specify in the “Comments” field which of ARC’s programs you’d like your gift to support (for example, after-school care or RecTech). Last year, ARC’s GiveBIG campaign raised $28,241 from 178 donors. Chef Tom Douglas, right, at a previous Salmon Chanted Evening in Victor Steinbrueck Park. On Aug. 31, Tom Douglas Seatown Restaurants invites you to celebrate a gorgeous summer evening outdoors with Chef Tom Douglas at the annual Salmon Chanted picnic dinner and fundraiser for Seattle Parks and Recreation. Now in its fifth year, the picnic provides an event in Victor Steinbrueck Park for nearby residents that is community-based, delicious and fun! Salmon Chanted celebrates what is great about our town, while raising money for the park. People can picnic on salmon with seasonal sides, gaze out at Elliott Bay and listen to live music. 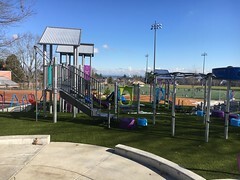 Specifically the money raised will go to fund the park’s concierges, M. Kay Skinner and Lemont Thornton, who help clean and maintain the park. They are first responders to any incidents or accidents, and also answer questions for tourists. Their positive presence in the park helps everyone to feel welcome. Forty years in the making, the Market expansion is spurred by the removal of the elevated Alaskan Way Viaduct and the opportunity to create a dynamic connection from the waterfront to Pike Place and the Pike/Pine corridor. The new MarketFront will transform what is now a .75-acre surface parking lot on Western Avenue into a waterfront-facing entry point to Seattle’s public market. True to the Pike Place Market Charter and character, the expansion will provide opportunities for farmers, craftspeople and local entrepreneurs, as well as civic space, public art, social services and low-income housing. host a table to show guests the designs and plans for the new MarketFront, answer questions and provide information on how to stay informed on the project’s progress. If you have any questions, please contact Eva Mark-Blumberg at evam@tomdouglas.com or call 206-448-2001. Tickets to the picnic dinner are $30 per person. Because everything from the food down to the forks and napkins are donated by Tom Douglas Seatown Restaurants and other concerned businesses, we are able to give 100% of the proceeds to Seattle Parks and Recreation. We invite you to join us by buying your ticket today at www.tomdouglas.com or at Etta’s and Seatown. Help raise funds to support Seattle Parks and Recreation’s Specialized Programs, which offer activities for youth and adults with disabilities. Take part in the Movin’ for Money swim or walk-a-thon with friends and family on Sunday, May 18, and rack up the donations. Specialized Programs hosts events such as the Special Olympics, wheelchair basketball, weekend trips, after-school programs, fitness classes and summer camping trips. Participants are asked to only participate in one event, either swimming or walking. The purpose of the event is to raise funds for equipment, special events, summer camp fees, and scholarships throughout the year. It is an opportunity for community members and program participants and their families and friends to show support for Specialized Programs by getting pledges for walking or swimming. 1) Obtain pledges and swim or walk. 2) Sponsor a swimmer or walker. 3) Make a tax-deductible donation. 4) Come to the event and volunteer, or show support for our participants and family members. To send a donation, please mail a check or money order payable to “Specialized Programs” at Specialized Programs, 4554 NE 41st St. Seattle, WA 98105. For more information or to volunteer, please call Specialized Programs at 206-684-4590. 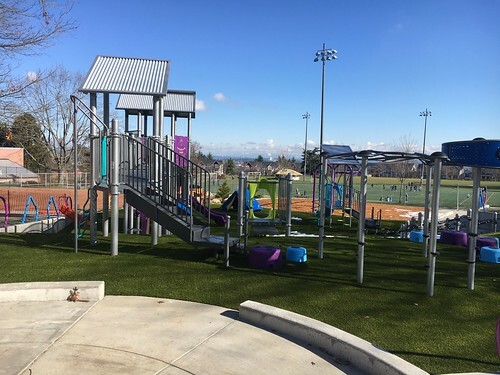 Seattle Parks works in partnership with the Associated Recreation Council (ARC) to bring high-quality, accessible and affordable recreation opportunities to the people of Seattle. For more information on ARC, please see http://www.arcseattle.org/. Wrangle up your family and work up your appetite, from 8:30 to 11:30 a.m. on Sunday, March 2, 2014 the Loyal Heights Community Center is offering breakfast with a side of goodwill. The annual all-you-can-eat pancake breakfast is the community center’s biggest fundraiser. Tickets are $5 per person and all proceeds go to the center’s scholarship fund benefiting families in need by providing them with opportunities to participate in programs and activities throughout the year. Breakfast includes a stack of pancakes, eggs and sizzling sausage. Tickets are available now at the community center and can also be purchased at the time of the event. Children three years old and younger eat free. 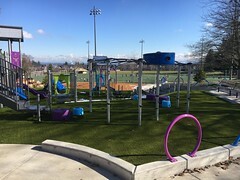 For more information or to volunteer, call the Loyal Heights Community Center at 206-684-4052 or visit the center’s website at http://www.seattle.gov/parks/centers/Loyalhtd.htm. The Loyal Heights Community Center, at 2101 NW 77th St., offers a wide array of activities and special events for families living in the Loyal Heights, Ballard and Crown Hill neighborhoods. Parks works in partnership with the Associated Recreation Council (ARC) to bring high-quality, accessible and affordable recreation opportunities to the people of Seattle. Sand Point Arts and Cultural Exchange (SPACE) invites the community to a grand opening fundraising party on Saturday, November 16, 2013 at 6 p.m. The festive evening features jazz and electro swing band Good Co. and special guests from 4Culture, Historic Seattle, Washington Trust for Historic Preservation and the City of Seattle. Tickets are on sale now at http://artspartyatmagnuson.bpt.me/. The west wing of Building 30, unoccupied since 1994, now has artist studios, a public gallery/workshop and a special event room, the Officer’s Club, complete with working fireplace and historic Art Deco design. S.M. Stemper Architects worked on the $8.5 million renovation and is serving as a major sponsor of the event. The grand opening party plays off the Art Deco history of the building and celebrates the facility’s history and renovation completion. Many of the artists who lease studios in the building will be in attendance. SPACE is transitioning from serving as an advocate for historic preservation on behalf of the arts to a fully functioning arts organization providing a variety of programming to benefit the public and the region. Building 30 is one of only two major arts facilities in NE Seattle (the other being those of the UW campus, including the Henry Art Gallery), and SPACE’s mission is to fund, facilitate and promote arts and cultural uses of the park, providing the regional community with everything from artist open studio events to outdoor sculpture exhibits, readings, musical performances and more. SPACE will also provide arts programming for the youth in the Solid Ground transitional housing on campus and continue to enable artists, performers and other arts related tenants to use Magnuson Park in its entirety in ways which engage the community. SPACE is an applicant for one of the low-power FM radio frequencies now available from the FCC and if awarded a license will build the community radio station in Building 30. 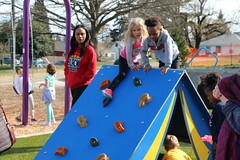 Seattle Parks and Recreation and the Specialized Programs Advisory Council will host the annual “Movin’ for Money” fundraiser from noon to 3:30 p.m. on Sunday, May 19, 2013 at Meadowbrook Pool and the Nathan Hale High School track. Specialized Populations offers year-round programs and activities for people with disabilities, specifically designed and provided by staff trained to meet their needs. Activities include the Special Olympics, wheelchair basketball, weekend trips, after school programs, classes such as cooking, dance, and aerobics, and camping trips in the summer. •	Walking from 3 to 4 p.m. at the Nathan Hale High School track. •	After party with entertainment, food and games from 4-5:30 at Meadowbrook Community Center, 10517 35 Ave. NE. Seattle Parks and Recreation covers the cost of all staff, vans, publicity, paperwork, and the use of facilities, and it is through the fundraising efforts of the Specialized Programs Advisory Council that we are able to provide uniforms for our sports teams, buy equipment, and provide scholarships for youth and adults so that no one is turned away because they cannot afford the fees. The Rotary Club of Lake Union will host two fundraisers in October to help fund a new ambassador program in Lake Union Park. The program will be run by The Center for Wooden Boats and will put staff and trained volunteers in the park to provide information to visitors about the park. The ambassador will help guide visitors to the rich array of unique experiences and historic stories they can explore in the park, which are made possible through the collaborative efforts of the park’s many non-profits. They can also help visitors find a bite to eat nearby or show them how to navigate to the next spot on their journey. Identity theft is one of the fastest growing white collar crimes in the United States. Lake Union Rotary invites the public to bring in old documents containing personal information to a mobile shredding truck for disposal. Volunteers are asking for a $10 donation per box or bag of documents for shredding. LeMay Shredding will provide shredding services. This event is sponsored by Umpqua Bank. A $20 donation includes beer, wine and appetizers. RSVP online at happyhour4good.com. The renovated 12-acre Lake Union Park opened in September 2010 to on the southern shores of Lake Union. The new park features a model boat pond, a beach for hand-launched boats, a 300-foot-long interactive fountain, waterfront boardwalk and terraced steps to the lake’s edge. It is home to the Center for Wooden Boats and the future home of the Museum of History and Industry, set to open in 2012. We’re young, we’re fun, and we’re not your father’s Rotary. Chartered in 2007, we’re one of the youngest Rotary Clubs in Seattle and the only floating Rotary Club in the United States. As part of Rotary International, our mission is to provide service to others, promote integrity, and advance world understanding, goodwill and peace through our fellowship of business, professional and community leaders. Visitors are always welcome on Friday mornings from 7:15 – 8:30 a.m. at the Center for Wooden Boats for breakfast and an educational and inspiring program. Enjoy the warm company of friends and neighbors with a stack of pancakes, eggs, and sizzling sausage at the annual Loyal Heights Pancake Breakfast from 8 to noon on Sunday, March 6 at the center, 2101 NW 77th St. 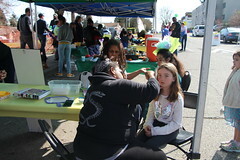 This event is the community center’s major fundraiser. All proceeds are used to help families in need take part in programs and activities throughout the year. Come hungry for this all-you-can-eat event! The center needs volunteers for the event, so interested people who are available to help either Saturday for setup or on Sunday, please call the center at 206-684-4052. The center also gratefully accepts canned food donations for the Ballard Food Bank. Associated Recreation Council (ARC) and Seattle Parks and Recreation’s The Able Teens (TAT) program will hold their 3rd annual “Feeding the Future” fundraising dinner and silent auction at the South Lake Union Naval Reserve Building (860 Terry Ave N), from 6 p.m. to 9 p.m. on Friday, May 14. This annual event will feature a buffet style dinner, live music, a raffle, and a silent auction. TAT members and staff will work at the event and will help make the night a fun time for all. Tickets are $7 in advance (available at Jefferson Community Center, 3801 Beacon Ave. S) or $10 at the door. Money raised through this event will go directly into the TAT program and will help to ensure the continued success of the program. The Able Teens (TAT) Program is an afterschool vocational training program for teens ages 14-21, who have developmental disabilities (including autism). Currently in its 5th year, the program, a partnership between the Associated Recreation Council (ARC) and Seattle Parks and Recreation, works with the teens to help them develop the skills needed to obtain long term paying jobs and a sense of independence. Parks and ARC also work with the teens’ parents and teachers to develop individualized plans that will help the teens be successful in school and beyond. Currently TAT has eight teens signed up who work with a team of job coaches to learn and perform various job and job related skills and tasks. TAT members have worked at various community centers, library branches, and food banks, learning skills and performing tasks such as food preparation, cooking, serving, cleaning, organizing, and event setup. They also work on skills such as how to look for a job, fill out an application, write a resume, and be successful in an interview. For more information about the event or the TAT program, please email Adrienne Wind at adrienne.wind@seattle.gov.